‘Why Don’t You Do Right?’ is a minor jazz/blues standard that was first released under the name ‘Weed Smokers Dream’, in 1936. 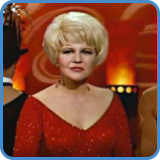 In 1942, Peggy Lee sang it under its new name and made it a worldwide hit. Since then many other famous singers performed the song regularly. 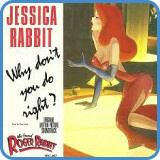 In 1988, it again became one of the biggest songs around when Jessica Rabbit sang it in the animated blockbuster ‘Who Framed Roger Rabbit?’. 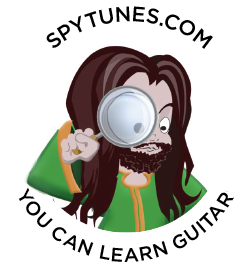 Spy Tunes’ version is a one guitar arrangement based on the original Peggy Lee version. The basic verse progression uses the descending pattern of VI – V – IV – IIIx. The turnaround that follows moves to chord II (Fm) before it goes back to IV and IIIx. Now the Ab is either Ab or Ab7, rather than Abmaj7. 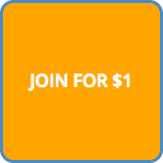 Take the master course and get the full story on the chord progression. The lesson includes full TAB of how ‘Why Don’t You Do Right?’ is played in the video lesson. The solo is simply the melody modulated to Fm (that’s a 4th up from Cm). 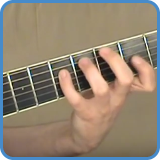 When you play any jazz standard, you simply must learn the melody and all the chords in order to play around with it. This is the very foundation of jazz. By seeing what notes the melody uses over the chords, you automatically find which are the most important intervals and therefore when and which modes will work. 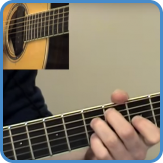 In the master guitar course, we initially look at the chord progression, how it’s played in the video and what it means. Following this, we learn the vocal melody and look at what modes and arpeggios we can use. Finally, we improvise over the progression, using everything we learned from the song itself. 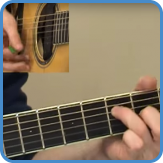 If you want to do this to every song you learn, you will have to fully understand music and the guitar, some might even say you have to master it. For complete lyrics, go to Why Don’t You Do Right?